U6 Ponies is an in-house program offered by United Parishes to introduce pre-school & Kindergarteners to the game of soccer. The program is offered during the Fall & Spring seasons. Practices and games are held on Saturday mornings. U8 (co-ed) is an in-house program offered by United Parishes to introduce first & second graders to the game of soccer. Teams are co-ed and include a goalkeeper. Rules are simplified and coaches are responsible for refereeing their own games. 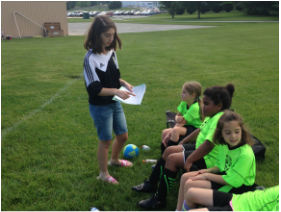 United Parishes is a member club of York USA and enters teams in age divisions ranging from U9 to U19. At this level of play teams are distinguished according to age, gender, and competitiveness. Travel divisions are offered. Kickout Hunger is a special event held at the start of the Fall season. Canned goods are collected in support of the Catholic Harvest Food Pantry. Old uniforms are collected in support of Outreach Paraguay. It's a great way to give back to the community and share a day full of fun, food, and activities for all ages. Pick-up Soccer program is offered to provide Kids a place to play a friendly game of soccer without the burden of joining a dedicated team in league play​. 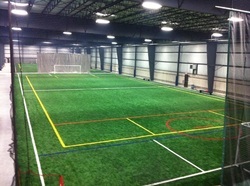 Indoor soccer is offered between the Fall and Spring season (November to March) for those players interested in playing small-sided games (6v6 or 7v7) to maintain their stamina and individual skills. ​​Periodically special clinics are offered to help players develop their individual skills. These clinics include: ball handling, goalkeeper, and speed & endurance training.